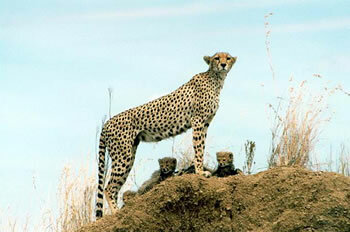 Tanzania has long been regarded as a premier wildlife destination. Here, in a country over seven times the size of Kansas, 25% of all land has been set aside for wildlife ecology and conservation. The result is magical: diverse populations of animals in numbers that can defy description, often in the tens of thousands. The permanent snows of Kilimanjaro. The expanses of the Serengeti. The magic of the Ngorongoro Crater. The pride of the Maasai. The ruggedness of the Ruaha and Selous. The lakeside beauty of Gombe Stream (of Jane Goodall fame). The secluded islands of Lake Victoria. The rich history of Zanzibar. The warm Swahili culture of Pemba… Tanzania’s many treasures reads like a fabled storybook. Your safari options here are infinite. The following itineraries are meant to help your safari planning. 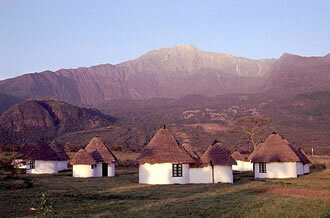 Since 1974, we at Cowabunga Safaris have done many, many kinds and variations of safaris to Tanzania. Do you want something more upscale? Do you want something more rustic and participatory? If you have a different safari in mind, wish to stay longer, or want to travel to other parts of the continent, tell us. We can make it happen.